Who in the world is One Call you ask? Well if you went with new boyband, you're right and even better they're formed with...yep you guessed it, ex members of boybands. I know, you can't even make something that crazy up right?...haha. The members of the group include two former members of the new version of Menudo group (Chris Moy and José Bordonada Collazo) along with former member of NLT, Justin Thorne, and non-boyband affiliated newcomer Anthony Gamlieli. ...but that's neither here nor there, either way don't sleep on this one, One Call does the slow jam justice by giving the track the emotional depth it needs to hit home with the audience. 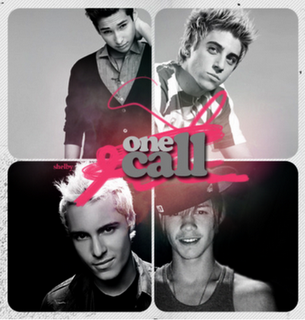 One Call - Crash (prod by Darkchild) Great Slow Jam!! !